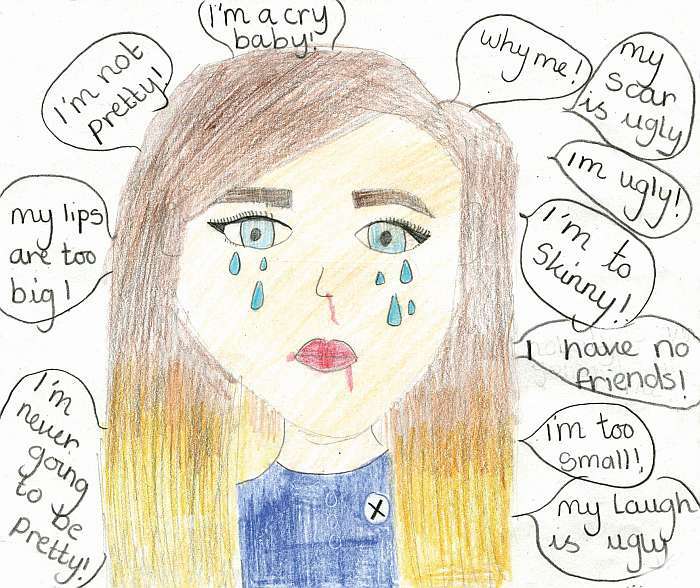 This blog was sent to us by a pupil from Newport High School as part of our Sam’s Story report. 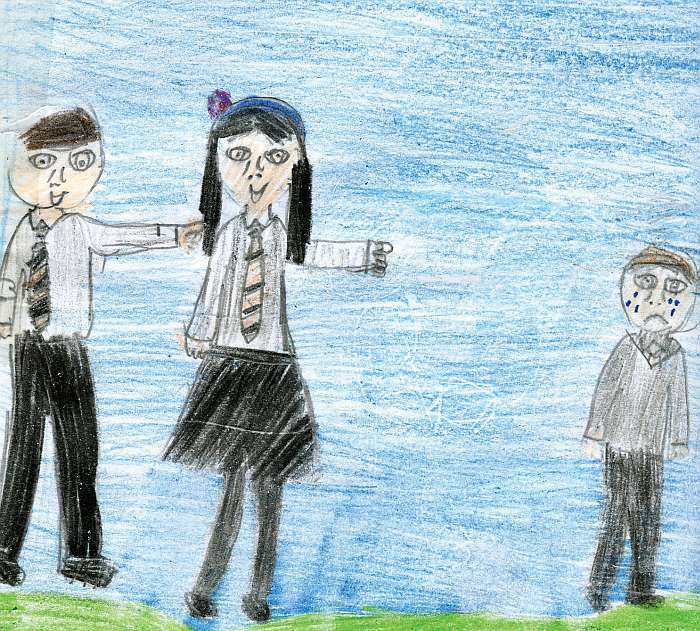 During #AntiBullyingWeek 2017, we launched a set of anti-bullying resources to use in Primary and Secondary schools. I’ve been at the school for 6 months now. Westfield High School. The place where I had once thought everything would be great, everything would be different. I thought I’d make new friends because I was in a place where no one knew me or my story. But I was wrong. After one week at the school I already wanted to leave. People thought they knew me. I was treated like an old dusty book – I was judged before anyone got chance to see what was inside. I was chucked aside like an outcast of their primitive society. I was left to fend for myself surrounded by people who despised and hated me for no good reason. They sniggered and pointed at my hand me down shoes as I walked through the seemingly never ending corridors. They stared at my ‘baggy’ trousers when I stood in the corner of the food court. They called me names and said I was poor because I lived in a rough part of town. I’d ask myself constantly why I was the one who had to suffer, why I was the one who was always laughed at and teased. It had happened at every other school I’d been to and it had happened again but I just didn’t know why. They didn’t know that my Mum was too ill to work and my Dad had to try find a new job. They didn’t know that was the reason why I didn’t have designer shoes and was why I had second hand uniform. They didn’t know that I had been bullied in the last 3 schools I had been too. So why did they judge me? Why were they so cruel? That I’ll never know. One day I couldn’t face it. The teasing, the laughs, the insults and sniggers had finally gotten the better of me. It was May 4th; that day it all changed. I’m not the kind of girl to skive school or to be rebellious, in fact my attendance and behavioral records were exemplary. But that day I didn’t go to school. I left my house at 8 am as I always do, but instead of arriving at Westfield High School I went to the forest about 10 minutes away. In my bag I had painkillers from my mum’s medicine cupboard. I sat there by the stream for hours on end. The school contacted my parents because of my unauthorised absence and they contacted the police when they discovered I wasn’t home. I was sat by myself reflecting on everything that had happened over the last few months. Reminding myself of all my flaws and remembering each insult those kids in my year had blurted out to me. I tried to cry my sorrows away for 3 hours so I wouldn’t have to do it. As the day went by I heard police sirens of search teams looking for me. Eventually I heard footsteps in the distance. I thought it was my sister, I was scared to look into her eyes that would be filled with worry and disappointment. But it wasn’t her; it was 3 of the most popular girls in my year, Amy, Emily and Katy. The girls who had once tripped me up in the corridor, who called me poor and laughed at my uniform and the way I did my hair. When I heard their laughs in the distance I tried to make a quick escape but they were already behind me, staring at me. I thought they would sneer, laugh and walk on. But they came and sat around me. They offered me tissues to dry my eyes. They took the tablets out of my bag and gave me some food to eat. For a while they said nothing; they occasionally smiled and rubbed my shoulder. Eventually I worked up the courage and with a shaky and scared voice I thanked them. We started talking and I confessed my plan and expressed my feelings of the constant bullying that had gone on in school. I could see the guilt in their eyes as I told them how it hurt me, when I told them about my mum being ill and my Dad trying to find work. Just before we got to my house they stopped me. Each of them hugged me and whispered “I’m so sorry” in my ear. The next day I went into school afraid to face my teachers who were worried and all the students who would again mock me for what I tried to do. But that morning as I walked towards the school doors where I was suddenly joined by Amy Emily and Katy. As we walked through school I saw all the other pupils stare at me and I heard the odd snigger. But each time that happened the girls would look at me and say “Don’t worry about them now”. Yes, I do still get the odd disgusted look and the odd sneer from time to time. But it has got better. I now have friends who I trust and love because they came and saved me on my darkest day. I now feel confident as I walk through the corridor. I now talk to the other students in class. I’m glad to say that I overcame bullying and will never let it happen to me again. But a word of advice before my story ends, if you are being bullied it seems like the end of the world. You lose confidence in yourself and everyone around you. You don’t trust anyone and feel unwanted. But it will get better. There is always someone to talk to. Whether that’s your mum, sister, teacher or peer. There is someone who wants to help; and you have to let them.